This was another "egg"cellent review product from The Old Schoolhouse (TOS). I wasn't sure what to "egg"spect, but I was pleasantly surprised. 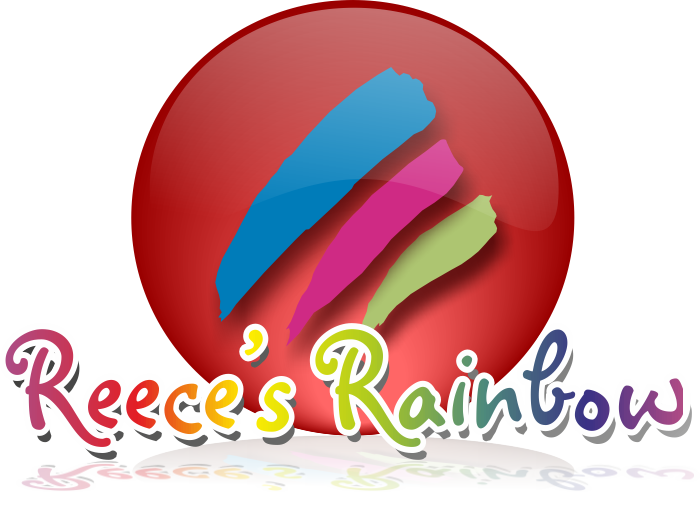 Their guide in learning essential reading skills and phonics is: Reggie, the "Eggs"plorer. We used this most with S-girl, who, as I have shared here, here, and here, wants to read in the worst way. She was "egg"cited to use the Reading Eggs - Where Children Learn to Read portion of the website, which has 120 learn to read lessons as well as 96 spelling lessons. A-man also used this program, but, since he has been reading for a few years, he is already an "eggs"cellent reader. He used the Reading "Egg"spress - Where Reading is Just Part of the Adventure portion of the website, which has chapter books, 200 comprehensive lessons and a library of about 600 e-books. As "eggs"pected, they both really liked this program and so did I. It seemed to have the right balance of learning with brightly colored, fun games...and "eggs"tremely cute little egg people and bugs. This is an "eggs"ample of the lesson pages that you click on to continue learning. 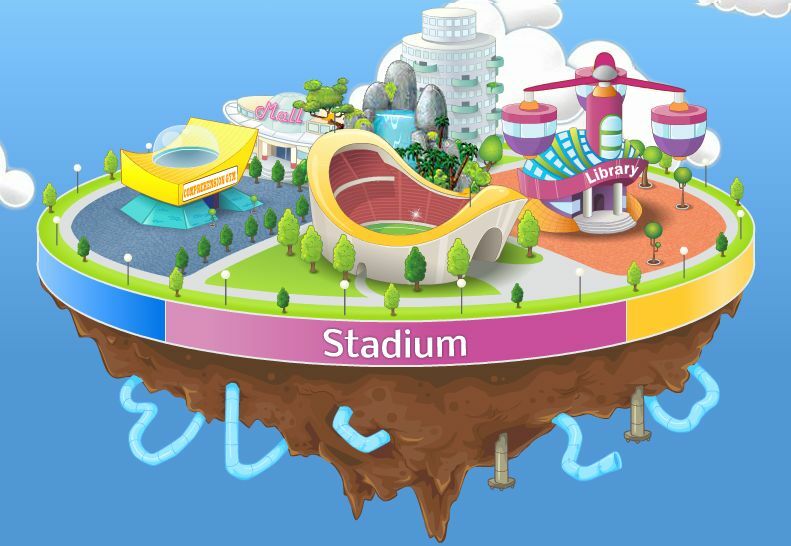 Along the left side are some of the other fun things to do....the arcade, puzzle park, Reggie's shop, the park, etc. The lessons on here seemed just repetitive enough to start getting through to S-girl. Although there were a few times where she would get "eggs"asperated with herself. She didn't like the sounds that came when she picked the wrong answer. After 10 lessons were complete, she would take a quiz in order to go on to the next set of lessons. If she didn't pass, the program would go back and review the previous lessons. When I could tell she was getting upset, I usually just told her that her computer time was done. She would usually b"egg" for more time. At that point, I could have let her go use some of her golden eggs to go play in the playhouse or stores, but honestly, until recently, she didn't even realize that there were other games to play on this site. I just never told her. She thought the lessons were her games.....I was okay with her thinking that! I pretty much knew where both A-man and S-girl were in their reading, so I just had them jump in and start. But, if you aren't sure, there is a reading assessment that you kids can go through so they start where they need to. The bottom line question for most parents will be....how "eggs"pensive is it? It costs $75 for a 12 month period....which sounded like a lot to me....but when they spell out that it is $1.40 a week....I guess that doesn't sound so bad. There is a 6 month subscription available too for $49.95. They have a 50% family discount if you add additional children at the same time. I am not pulling your l"egg" or "eggs"agerating when I say that we had an "eggs"cellent time playing and learning with Reading Eggs. I am no "eggs" pert, but, I think it was "eggs"actly what S-girl needed to get her started on her lifelong quest (I know...she is only 4....) to be a reader. You can try it for FREE for 2 weeks to see if it is something that is a good fit for your early readers. Go see what other TOS reviewers thought of Reading Eggs. Karen? How did I do? We received a free subscription to Reading Eggs in "eggs"change for an honest review of their product. Rainman is going on 2 weeks now without noticing that I got new glasses. Instead of telling him, the kids and I have decided to be patient and see just how long it will take him. I don't know though.....would you have noticed???? I am assuming once it comes out that I have them, he will say something like, "Well, yeah....I noticed those a long time ago." Sorry, Rainman, I love you, but I am not buying it! I don't know about you....but I ask those questions of myself quite a bit. I still seem to be trying to figure out just who I am (even in my 40's) . I certainly didn't know who I was in my middle, high school, and college years. Those years were controlled by thoughts of things like: What others were thinking of me (Surprise! They weren't. ).....Which boys liked me (or more often - why certain boys did NOT like me). How I could convince my parents to buy me the clothes that everyone else was wearing. See? Really important, life altering thoughts. I still wonder about things. Most things are not as shallow as the things I used to wonder about, but, there are still ones like....Should I have finished nursing school? What exactly is "my style"? I, for sure, asked the "What Am I Doing Here?" question when we moved to Georgia. But it could definitely be asked on a more general level....like... What am I doing here on Earth? What is my purpose in this life? To help find an answer to these questions, for both me and the kids, we are using a review product from Apologia. On a side note, don't you just love Norman Rockwell? I love the picture on the cover. Although, it is sort of sad....the girl looking at her own reflection and realizing that she does not look like the girl in the magazine. I guess that has been going on for ages and not just since Cindy Crawford walked on the scene, hmmm? This is from a company called Apologia, better known in homeschooling circles for the science curriculums. This is a part of a curriculum series called, "What We Believe". Book one is this series is called Who is God And Can I Really Know Him. We haven't seen or used that book. But, I think we will still get good use and information out of the second book in series Who Am I And What Am I Doing Here?. The third book in the series is called, Who is My Neighbor and Why Does He Need Me?. The fourth book in the series is being released soon and it is called, What On Earth Can I Do? Who Am I And What Am I Doing Here helps children understand what it means to be fearfully and wonderfully made in the image of the Most High God. Read that list again, will you? That is why I still need this book. 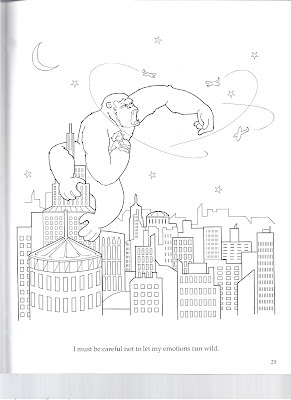 This curriculum came with a journaling notebook, although they call it a "notebooking journal" (for older students) and a coloring book (for younger students). This curriculum says it is designed for ages 6 to 14. I thought it seemed better suited to discussions with my older kids....9 and up. I loved the general concept for the littler ones, like how God made them each special with gifts and talents, and that they should think of God and what He would want them to focus on. But, some of the deeper discussions about different religions and things I thought was a bit above their level. Or maybe just above the level that I am comfortable discussing with them, at this point. "I must be careful not to let my emotions run wild." "Your feelings are a gift from God." Definitely things that are easy to cover with little ones. Where it gets into the areas that I don't feel quite as comfortable having discussions with the littler ones is the What's the Difference? sections. These go into the Christianity; Islam; Humanism; Buddhism; Mormonism; Hinduism; New Age; and Communism. Interesting? Yes. Suitable for discussions with A-man? No. Suitable for discussions with D-man and A-girl. Yes. Suitable for discussions with L-girl. Maybe. Interesting for me? Definitely. In the textbook, each lesson shares a short story, teaches a few points and then shares a different "worldview" than you. For instance, the first lesson introduces a young Muslim girl living in England. There are discussion questions throughout the lesson in addition to the notebook journal activities. All in all, this is a really neat, in depth, study that I will continue using with my older kids. I am learning too. Because really, who truly knows the differences between Christianity and say, Mormonism? I mean, Rev. Franklin Graham (Billy's son) just said that because Mitt Romney is a Mormon, he isn't a Christian. We actually got an audio CD that we tried too. It reads the lessons outloud. This would be really good if you have a auditory learner and you don't have time to read to them. 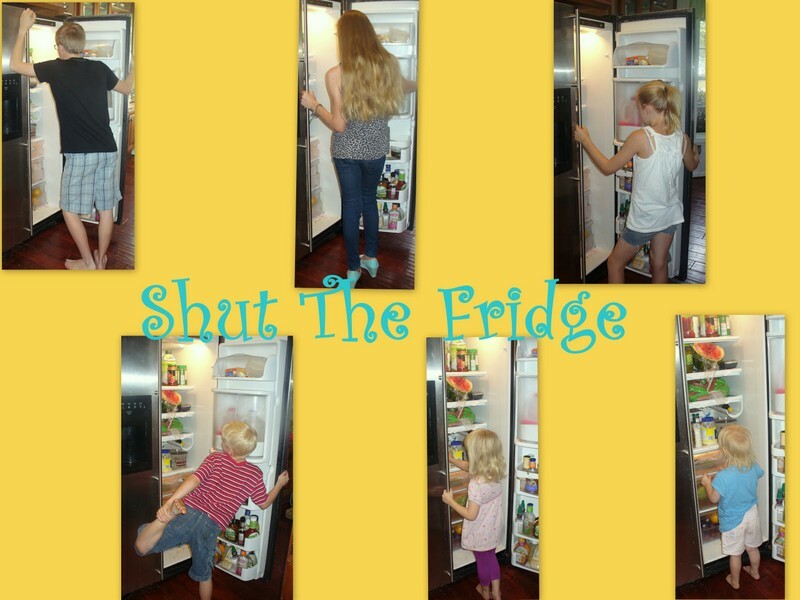 This is something that your older kids could work through on their own. This book is pretty interesting (What's the Difference?) and helpful (self image help straight from God) though, so, you may want to carve out some of your time to do this along with your students....whether you read it or you use the CD. The textbook is available for $39. The notebooking journal is available for $24. The audio MP3/CD is available for $19. Just in case, like me, you don't know what an MP3/CD disk is....allow me to fill you in. It means that you need to play it on either an MP3 compatible CD player or on a computer. If you decide to try this book out, I would recommend getting both the textbook and the notebooking journal because while there are a lot of discussion questions in the textbook, the journal really personalizes things and digs into some of the concepts explored in the textbook. Find out what other TOS crew members thought of Who Am I? 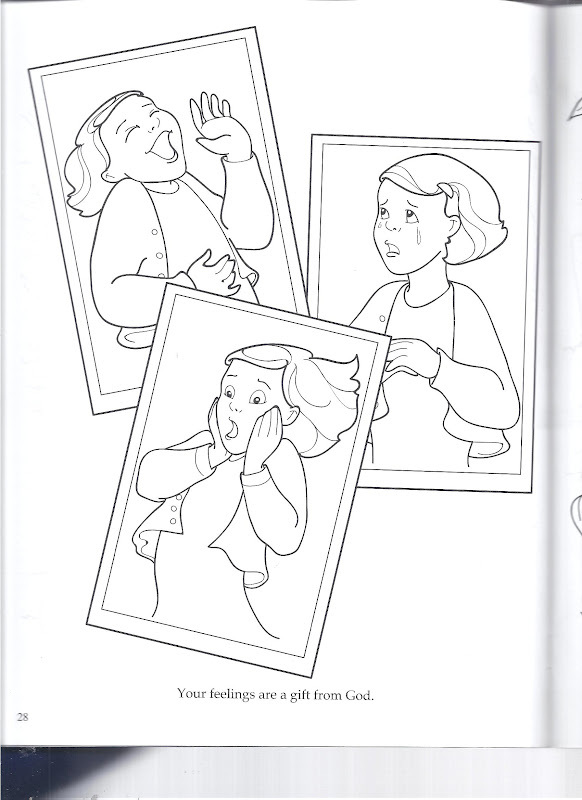 We received a free copy of the textbook, notebooking journal and audio CD of Who Am I and What Am I Doing Here? in exchange for an honest review. I just realized that I never let you guys in on the Christmas gift that made me scream. I have wanted one for probably 20 years or so. It was just one of those things that I just figured I probably wouldn't ever actually get.....like a red Jeep, or real diamond stud earrings, or cellulite free thighs. I never seemed to be able to justify the expense...even though I bake quite a bit. I mean, even on sale....they are about $200. There are a lot of other things that $200 can be used for in this household! Although, everytime Pioneer Woman had a giveaway ....I was right there giving it a shot! Apparently this dream of mine escaped my husband.....completely. And then, did something about it. They got their big brother involved. They got Rainman involved. They searched Craigslist....because the their parents are doing the Dave Ramsey thing....it is rubbing off on them....so they needed to find a cheaper way. Lo and behold.....they found a used one in our town. Turns out the lady is a professional baker and had her big/professional mixer break down and had sent it to the shop (who knew there was "a shop" for mixers???) to be fixed. In the meantime, she decided to go ahead and buy herself a regular KitchenAid mixer to get her by. When she got her "real" mixer back, she put this one on Craigslist. My kids spotted it....arranged a time for Rainman to go pick it up.....and the part that really gets me.....they used their own money to get it for me. Rainman had to contribute $20 to the mixer which cost $125. Did you get that? My wonderful, adorable, hardworking, sweet children used $105 of their own money to get me a present that I have wanted since waaaaaay before they were born! They video taped me opening the gift....which I will NOT be sharing with you....I am wearing my ratty old robe and there is waaaaay too much leg showing for public consumption. D-man went out to the garage to get my surprise gift and put it on the kitchen table. I walked over to the table in my ratty bathrobe and nighty (does anybody call them that anymore?). I shifted the plain, unwrapped, cardboard box on the table....said, "Wow.....this is heavy." Screamed in a high pitch voice (that didn't sound like me at all), "Noooooo waaaaaaay! You guys!" then I promptly burst into tears. I went into the ugly cry, as Oprah would say. All of which is on video tape. All of which my children have watched over and over and over again....laughing their heads off. V-girl even did an impersonation of me for a few weeks afterwards. Not funny. Okay, it is a little funny....she is pretty cute when she does a high, squeaky voiced "Noooo waaay!" The funniest part to me, is in the video, as I stand there sobbing, D-man casually walks by and says, in his low pitched teenage/man voice, "Yeah, I figured that would happen." I really am not a highly excitable person. I am pretty low key about most things. I takes quite a bit to get me mad....and I don't get overly happy or excited either. I am just kind of in the middle of the road. So, this reaction took me totally by surprise. I really, really wanted a KitchenAid mixer. Now I have a beautiful white one. I cannot believe how quickly I can whip up a batch of cookies or frosting now. I also usually have running commentary, to myself, whenever I am making something. "See....I am now walking away while my ingredients cream together." "Now, I am walking to the fridge to get eggs, while it is working." "Look at how easy it is to add my dry ingredients a little at a time." I love my new (to me) KitchenAid mixer. My kids knowing what would make me happy and then making it happen REALLY makes me happy! "Hmmm....I didn't know you wanted one of these." "Well, the kids told me you would like it.....but I didn't think you would like it this much." "You weren't this excited when I asked you to marry me." I am so thankful that we have gotten the chance to review different math programs this year. We have used the same program for the kids all the way from Kindergarten through 6th grade. Once they hit 7th grade (D-man so far), we have tried a few different things, but not using a separate, specific curriculum. It seems to be working, but, lately, I have wanted to shop around and see what else is out there and what may work for the kids. Just because it worked well for D-man doesn't mean that it will work well for L-Girl, you know? The latest math program we have gotten to try is called Aleks. 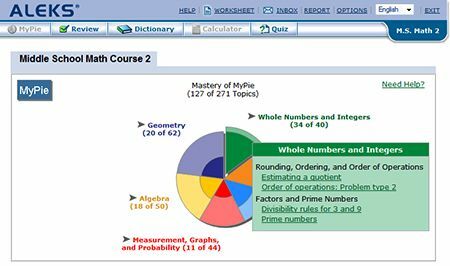 Aleks (Assessment and LEarning in Knowledge Spaces) is a Research-Based Online Math Program. This program is what I would call a no-nonsense sort of math program. 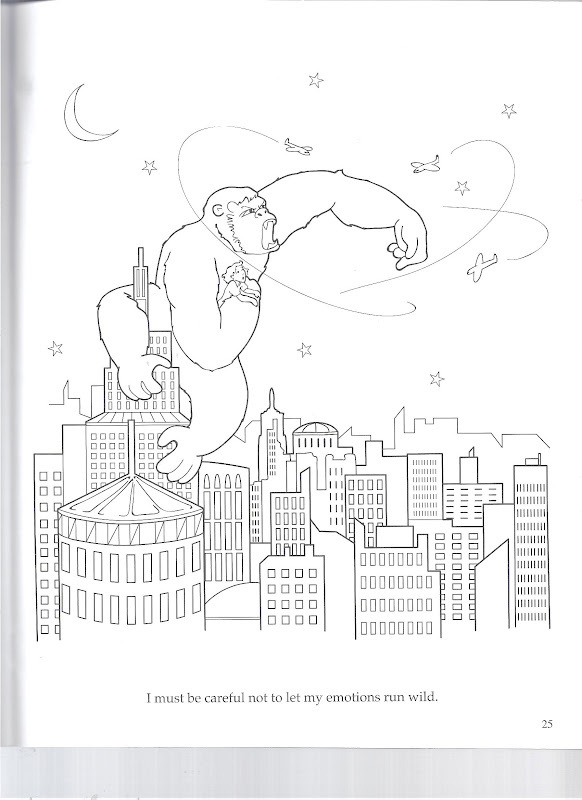 There are not a lot of bells and whistles and brightly colored pages to entertain your kids. Instead, it is a solid math program that assesses your child's skills and then designs a program based on what they need. After your child takes the assessment test, there are two basic sections in Aleks. The first part is just regular old math problems.....that is based on the results of their assessment. This is the no nonsense - just math- portion of the program. The second part is something called QuickTables which is a math fact mastery section. This has a little bit of fun and games kind of math. But it is all used to move their math facts (7x1 = 7; 12-5=7; 8+3=11) from their short term memory into their long term memory. It is available anytime day or night....even when we travel (no textbooks to haul along with us). The questions/answers have limited multiple choice options, so they are having to actually work out the answers and not just going with their best guess. When they get the answers right....they really get it right. I cannot tell you how many tests I passed based on my skill as a good guesser. I have higher hopes for my children! I like the pie chart visual that shows what they have mastered and what they still need to work on. They seemed to be motivated by working to fill in their pie charts. I loved that there were explanations available, if they wanted them. If they didn't need them, they could skip them, but they were always just a click away if they needed it. Aleks would send me a weekly report on each of the kids that told me what they had worked on, how long they had spent on the site, and, what they had mastered. Since this type of schooling is so hands off....which I normally don't like....it was an easy way for me to still feel like I was on top of what they were doing....without having to stand over their shoulder and watch them work all the math problems. This program is intended for students from Kindergarten all the way through 12th grade....although some of the areas are listed as 3rd - 12th grades. You can watch a quick tour of how Aleks works by clicking here. Now that I have told you how much I liked this program, let's get down to the nitty gritty. The cost. There is a family discount available also. For example, if you had 2 students enrolled, the cost of a 6 month subscription would be $169.90. You can try using Aleks, for free, as either a student or an instructor. The normal window for the free trial is pretty short though....you get to try 3 hours of Aleks during a 5 day period. But, right now, they are offering a free 2 month trial for homeschoolers! For us, we are still exploring our options and "doing the math" to see if this is something we will continue, especially for my older kids. It is attractive in many ways: It is so portable. The explanations of each problem that are available (even in the upper/hard math). There are some ACE (American Council on Education) courses available that could count as college credit classes. Here is what other TOS reviewers think of Aleks. We received a 2 month subscription to their program for free in exchange for an honest review of their product. We have had a chance to review a whole bunch of school products this year. Some of them have been used in place of our "normal" school and others, like See-N-Spell, we have been able to use to help enhance what we are already doing. We got a hard copy of their Spelling and Vocabulary Quick Reference Guide to use. As the preface of the book explains, "Writers frequently possess a larger verbal social language vocabulary than a written academic language vocabulary......These writers, often misspell or, to avoid misspelling, choose simpler words that do not clearly express their thoughts or develop their language skills." Basically, you can think of the perfect word for whatever you are trying to say....but, then, can't remember how to spell it. I am guilty of that....I will many times want to use a specific word....but, then I type it and it doesn't look write....I try it another way....still doesn't look write....don't feel like looking it up....so I just switch to a simpler word. Recently, I could not for the life of me figure out how to spell "occasionally". I would go back and forth between one "c" and two "s's".....two "c's" and one "s". Then just switched the word to "sometimes". But, guess what is right on the "O" page of the See-N-Spell guide.....in the adverb column? Occasionally! I could have also looked in the back of the book to the Commonly Misspelled Words section too. This section has words like: absence; beggar; misspelled; receive; and vengeance. Could you go look up words in the dictionary? Yes.....but sometimes that 3 inch thick book is intimidating. Could you go look it up on the internet? Yes....but sometimes things you don't want to see pops up in those kinds of searches. See-N-Spell just gives a quick alternative to these. At only 40 pages, it is not intimidating for even a struggling speller and there is a lot of white space on the page so it is not as visually chaotic as a dictionary page can be. The guide is based on 300+ most common vocabulary words used in the English language. It is broken down by letter and then on each page, it breaks them down by their part of speech, for example: Noun; Verb; Irregular Verb; Adjective, etc.. It also covers homophones....like for letter "C"...cache and cash....it gives the definition and spelling for each. It is designed for about Grade 4 through Adult. I have to say, though, one of our favorite things about See-N-Spell was the free See-N-Read reading tool that came with the book. It sort of turned out to be the thing that we didn't even know we needed...but had been waiting for all of our lives! This has been a wonderful tool for her....her reading is done much more quickly and she seems to be retaining her information much better too. We are having to read outloud to her much less too. Even though she is in 6th grade, we knew something was going on with her reading....and she seemed to comprehend and be able to remember things better if we read to her while she doodled. I think when she read to herself she was concentrating so hard on trying not to lose her spot that what she was reading sort of fell to the wayside. There is even an eSee-N-Read tool to help with on-line reading.....I might check that one out....because I don't like to read on the computer....but since everything seems to be going to digital readers....I may have to try. 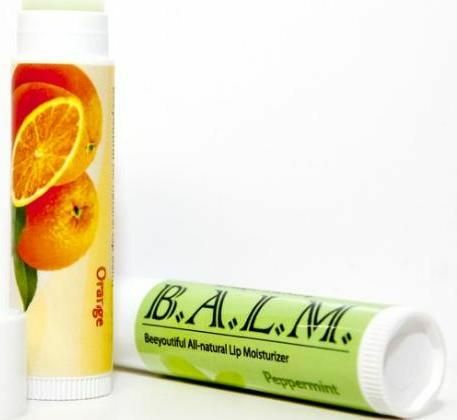 The story of how this product was developed is interesting, and there is a bunch of research on why their products work. But I don't think you need to know any of that to appreciate how handy and quick and easy it is to use. A-girl and I have been passing See-N-Spell back and forth between her school area and the computer because we are both using it. Here's hoping we won't lose it in the shuffle one day.....we would both be sort of lost without it. Who wants to go back to a bulky dictionary anyway? See-N-Spell is available for $9.99 and you get a free See-N-Read reading tool. Since this is a review, you can go take a look at what other TOS members thought of both See-N-Spell and See-N-Read. We recieved a copy of See-N-Spell for free in exchange for an honest review of this product. Recently, though, that has changed. I finally made a bunch of long overdue doctor's appointments that I had been putting off....eyes checked, lady parts checked, blood pressure checked, reality check about my weight, etc. In Minnesota, I usually just brought all the kids with me to my appointments. I figured that is how they would learn what happens at doctor's appointments and how to sit and be patient while waiting. I think it has worked....no one is super scared of the doctor and they are all pretty well behaved while we wait. I will admit that it probably helped that I used to work with most of the doctors and nurses that we were there to see....so, after my appointment, we usually made the rounds visiting...and, of course, my friends had treats or stickers for the kids! Down here in Georgia though....where I know no one.....walking into a doctor's appointment with 6 kids does not result in cries of exaltation....but, actually seems to be rather frowned upon.....I try to schedule my appointments when Rainman is home. I miss having company when I am waiting, but, there is something to be said for peace and quiet, singing along to the radio, and not exposing them to the coughs and germs of others. Plus, when I come home, people run outside to greet me as soon as they hear the garage door go up....just like the jubilant welcome home that Rainman gets when he comes home from work. I see why he likes it. It makes you feel loved....and like you were missed. Now, if I could only work on greeting him in something other than sweat pants and a pony tail....he would have it made! So, I came home the other day from an appointment and this is what was waiting for me on the table....courtesy of A-man. Labeled and guarded with a fork. He made me lunch. He chopped everything himself.....and was also responsible for plate presentation! See the one crouton on top? He also recently made this in our backyard and insisted that his sister take a picture of it/him. Yeah, I don't know what to think either. But, I love this little man....even if I don't always understand what is going on in his head. It was creative though....so, on that note, here are some other creative things that have been going on around our house lately. Our church youth group hosted a Mystery Night recently and A-girl went as Daphne....she talked another girl into being Velma (who else thought her name was Thelma when they were growing up?) and a boy into being Shaggy. She thought she had D-man talked into going as Fred....but he chickened out at the last minute ( I think it was the ascot). I am proud of her for not caving into fear that no one else would dress up and went for it. She looked awesome! Don't they look like flowers? A-girl made herself a new headband. Can you tell what the flower is made out of? It is made from melted plastic spoons! Isn't that cool?!? Alright....I think that is all the creativity I have for you today. I am sure there will be more later! A-man has wanted to be a cowboy for years. He used to ask me if I could set up cowboy lessons for him with his Uncle R, Karen's husband. Uncle R used to own horses, and wears a cowboy-ish type hat. He certainly walks with a cowboy swagger that even A-man can appreciate and emulate. Sadly, we moved before I could pressure Uncle R for those lessons. Auntie Kelly made these pants for one of A-man's cousins a few years ago and when they outgrew them...he inherited them. They have cowboy hats, horseshoes, lassos and sheriff's badges all over them. He doesn't like to take them off. Seriously....he wears them all the time...until I need to do laundry. He got little toy pistols and holsters for Christmas. I got them from an outlet/dollar store where they cost a total of $2.00. He loved them and wore them around everywhere, until their little outlet/dollar store-ish plastic triggers finally gave out. My little cowboy wanna be, A-man, is in first grade. School, to him, is just something to get through and finish so he can get on with his real day and every adventure it may hold. That long cowboy description of A-man is to help introduce you to a new product we got to review at our homeschool. The kids, in general, are not always as excited as I am when we get a product to review. There was excitement. Children were reminding their motherthat they hadn't done "all" of their school yet. This one was a game. What was a boy to do? Just get through with school so he could get on to the rest of his day? Whine? Complain? In the game, you ride on horseback (although the rider looks more like a British stable boy...not an American cowboy) on various quests doing math along the way. 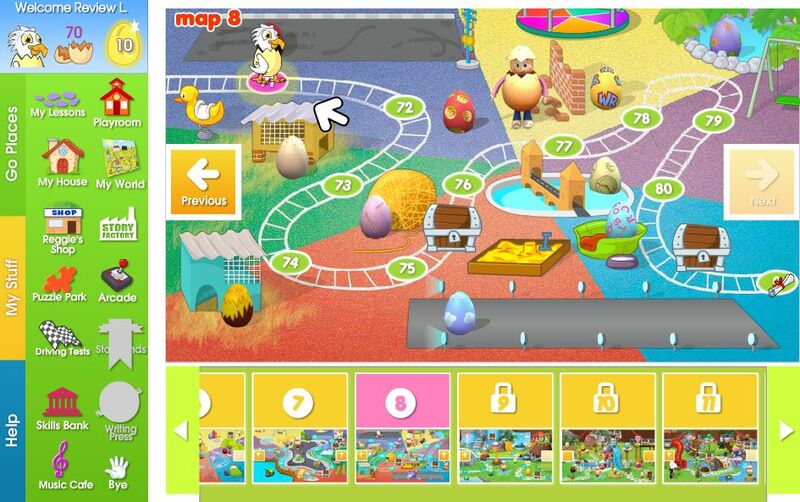 Along the way in the game, you learn your math facts from 0-12 for addition, subtraction, multiplication and division. There are little hurdle things that your horse must jump over. Each has a math problem....I guess I shouldn't call it a problem, should I? 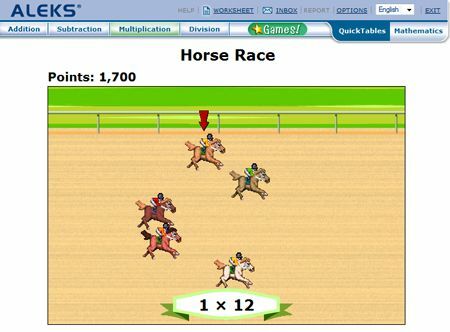 Each hurdle has a math fact, like 7 + 5....then you have to type in the answer....12. Your horse jumps and you continue on your quest. Each portion of the journey has a set amount of questions....you can set it to a different amount....but we had ours at 30. Fun? Definitely. But, how do you know that your child is actually accomplishing anything besides just adding more screen time to their day? This information will make you data and statistic loving parents happy. At the end of each section, there is a screen that comes up that will show you how long it took for your child to answer each individual problem, which ones they got wrong, their average speed. The game even helps visualize the ones that they got wrong (like showing 3 red dots and 8 blue dots to equal 11). Here is an example of a different statistic screen that shows the "top challenges" and "Mastery Level". The squares in orange and red are the facts that your child needs to work on. This game, to me, a regular lay person, is pretty amazing. Why? The kids have fun, but that isn't why I am impressed. The horse is controlled by how quickly and accurately your child gives the answers. It even observes and considers typing speed. So, it notices the kinds of questions your child is having problems with and sends them more frequently....if your child is just a slow typer....the horses running and the problems that show up slow down to compensate for that. If they get 8 + 3 wrong....the game will show them the correct answer. While it is being shown, a child's voice states, " 8 + 3 equals 11". Then, your quest will continue and a few more hurdles later....that problem will show back up again, so they still remember it from when they got it wrong. This game was created by a Dad looking to find a way to help his daughters, who didn't do well in math....nor did they particularly like math. As he says, "There comes a point when finger counting needs to stop." The only thing that will do that is getting these math facts in your head. Okay, yup, 8 x 7 is 56. One of the reasons that I am probably so impressed with Rainman is that he seems to have retained all his math facts. It really is a very handy skill of his. I would like my children to be able to pull these numbers from their Stetsons quickly and correctly too, if for no other reason than to impress their future spouses! 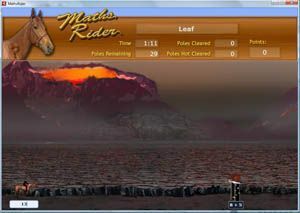 Math Rider is a downloaded game, not a CD. Which, for our house, is good. CD's have a tendency to get lost or scratched around here. So, it can be downloaded immediately to your computer....and you get updates as they happen. I can honestly say that this math facts game has been a hit at our house. Rainman, who usually steers away from the computer learning types of activities we do, was impressed with this one too because it was different for each child and adapted to them and their strengths and, as Math Rider calls it "challenges". I even sat down and rode a few quests too....it was sort of addicting...and I am not a video game person. It did give me a sense of accomplishment to try to beat my best times in answering the questions correctly. I am still only working on my addition and subtraction facts though....I am working my way up to the multiplication and division quests.....I want to make Mrs. Toll proud! Don't just take my word for it....go check them out and sign up for a free 7 day trial and see for yourself how easy it is to master those pesky, yet ever so useful, math facts. 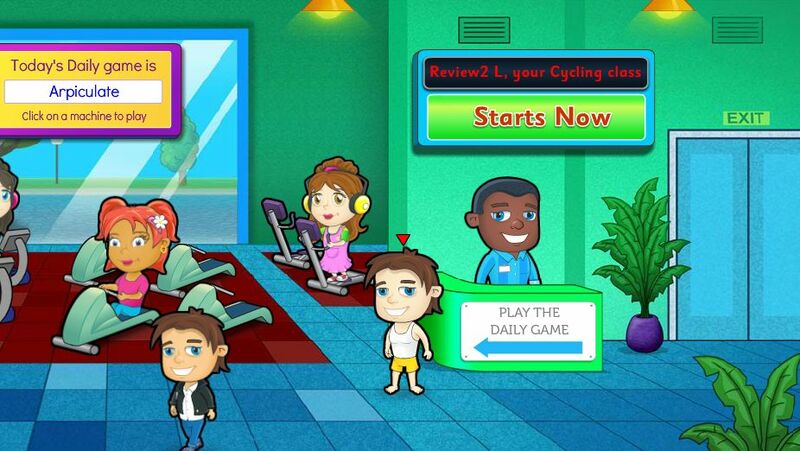 Take a look and see what other TOS reviewers thought of Math Rider. 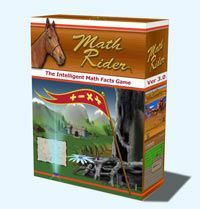 We received a free download of the math facts game, Math Rider, in exchange for an honest review. Do you remember that old Cat Stevens (who has now changed his name to Yusef something or other...) song, Moon Shadow? If I ever lose my hands....I won't have to work no more. If I ever lose my eyes and my colors all run dry....I won't have to cry no more. Must have been a hippy 60's/70's thing. Maybe it has all sorts of hidden meaning....like the Garden Party song by Ricky Nelson....or You're So Vain by Carly Simon....or the Day the Music Died by Don McClean. Anyway, the chorus on the Cat Stevens is about being followed by a Moon Shadow......Moon Shadow, Moon Shadow..... That is the part of the song that I have stuck in my head and it was what I sang to myself and my children ad nauseum as we have started studying, the Celestial Almanack, February 2012 by Jay Ryan. This is an e-book product that even if you are on a tight Dave Ramsey-ish budget you can afford. It is $3.00 for a 19 page book crammed with loads of astronomy facts and figures.....and I do mean....crammed! For $3.00, Mr. Ryan is producing monthly almanacs that are specific for each month because, the earth and the celestial bodies are in constant motion....so, for instance the February sky is different than the May sky....which is different than the October sky. The February almanac covers: Astronomical Calendar; Signs of the Seasons; Seasonal Skies-Evening; and, Dance of the Planets. Mr. Ryan started out by explaining our calendar and how Leap Year came to be. Interesting stuff. Do you know what an analemma is? There was one used in the movie, Cast Away to help Tom Hanks keep track of time while he was stranded on the island. I love real life examples like this....well, okay, I guess a movie isn't exactly real life....but, it makes it somehow more relatable. I think our favorite part of this e-book was the maps of the night skies and the notes where things would be positioned on certain days and times. It was sort of a key to the sky....instead of staring around saying stuff like, "Well, I think that is the Big Dipper....no, wait....I think that is it over there. Well, maybe that is the Little Dipper then....and that really bright one....I am pretty sure that is Venus....or is it Mercury?" You could take his book and say with authority, "See those 3 stars right there? That is Orion's Belt...now following the belt down and a little to the right....that is Rigel....and down to the left is Sirius....part of Canis Major. There is the Big Dipper...now straight over from the ladle part is the star Polaris"
Mr. Ryan also has different kinds of assignments or challenges for you to try when you are out gazing at the night sky. Who knew that winter star gazing has some of the prettiest skies? On February 3rd, we tried, unsuccessfully, to locate our "moon shadow"....the inspiration to good old Cat Stevens earlier. It was too cloudy for us. But, if it hadn't been....we could have seen that our moon shadow would be just as long at around 9:00 p.m. as our sun shadow would be on the longest day of the year....or the summer solstice. You could even measure it with a tape measure and check to see if it worked. The moon shadow activity is rated as a one star activity - because it is really easy. An example of a harder one would be finding the constellation Pegasus....which is a lot easier to find during the fall months. Finding Pegasus is a three star activity. Mr. Ryan does refer to another one of his products in this almanac quite a bit, called Signs & Seasons....which, apparently, just gives a lot more detail than he can cram into 19 pages. His other products can be found here at Classical Astronomy. Most of the things in this almanac you can find with your naked eye...but we also have a telescope (remember....weird homeschool family....) so it was fun to try to find things with our naked eyes and then see what it looked like with a telescope. But, the point is that you do not need to have anything fancy to be able to see this cool stuff. I printed off the 19 pages and put it in a 3 ring binder, because I wanted to be able to have the maps outside with us when we were looking, and do not like to read on a screen - if I can help it. So, my night sky maps were a little stripey looking because of my ink situation....but, I am still glad I printed it to have and that I have it in a binder for refer back to, if needed. I can't tell you how excited the kids are about the possibility of heading out each night to take a look at the night sky. We haven't been able to go out every night....because of clouds....or we have been other places, but there really is just a genuine sense of excitement when it starts getting dark. You can get the February issue for just $3.00. See if any other TOS reviewers have anything else to add to my thoughts. 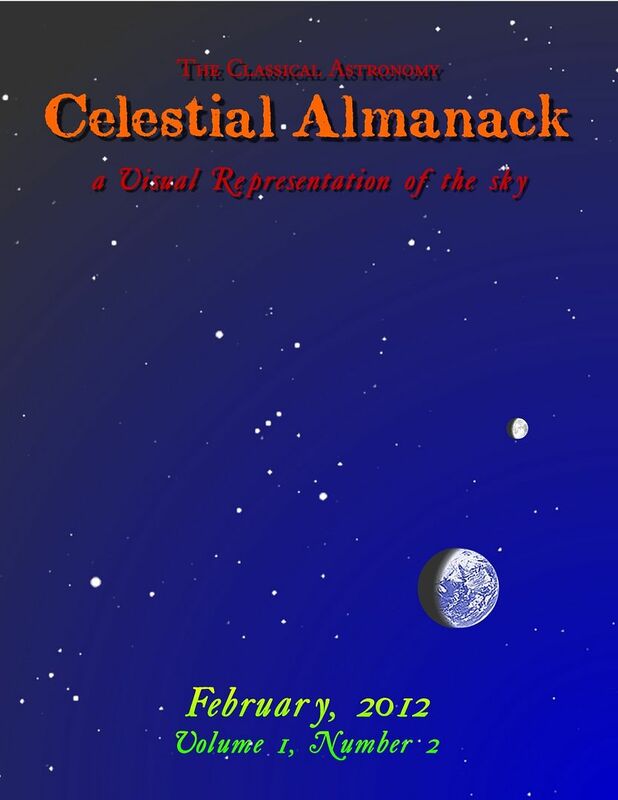 Our family received the February Celestial Almanac for free in exchange for an honest review of the product. Yesterday was my mom's birthday. I don't think I could say it any better than my sister, Kandi, could have. Plus, if you click over, you get to see a picture of me during my awkward teen years! Bonus! I know you hate this picture, but I love it!